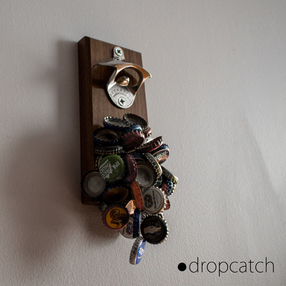 Watch The DropCatch Porter action sequence. Six bottles are opened and the caps removed with ease. 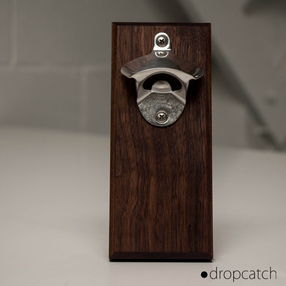 The DropCatch Porter is designed from a solid slab of Walnut wood. The senior model has 60 pounds of pull force, this opener can hold 52 bottle caps with ease. 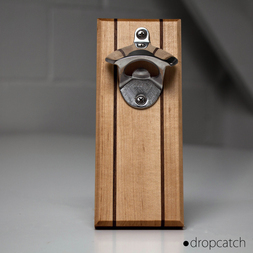 Each opener is handcrafted in the United States of America and finished with linseed oil. No matter where you are, whether it be New York, Chicago, Tokyo, London; the tasteful design makes this a must have home-good. 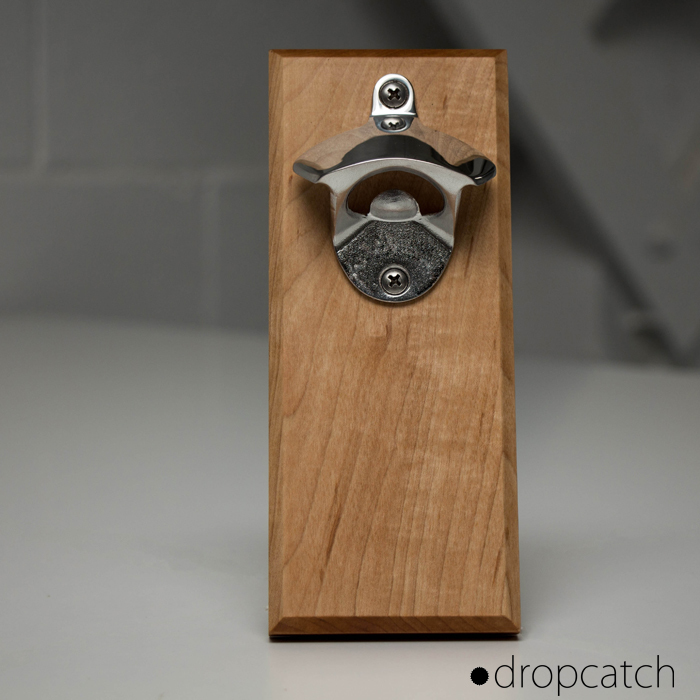 The DropCatch Stout is designed from Walnut wood and includes two Maple inlays, which run vertically through the product.The senior model has 60 pounds of pull force, this opener can hold 52 bottle caps with ease. Each opener is handcrafted in the United States of America and finished with linseed oil. No matter where you are, whether it be New York, Chicago, Tokyo, London; the tasteful design makes this a must have home-good. The DropCatch Pilsner is designed from Maple wood and includes two Walnut inlays, which run vertically through the product. The senior model has 60 pounds of pull force, this opener can hold 52 bottle caps with ease. 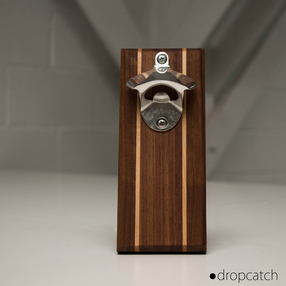 Each opener is handcrafted in the United States of America and finished with linseed oil. No matter where you are, whether it be New York, Chicago, Tokyo, London; the tasteful design makes this a must have home-good. The DropCatch Wheat is designed from a solid slab of Maple wood. The senior model has 60 pounds of pull force, this opener can hold 52 bottle caps with ease. Each opener is handcrafted in the United States of America and finished with linseed oil. No matter where you are, whether it be New York, Chicago, Tokyo, London; the tasteful design makes this a must have home-good.